Noun: Garage for one or more cars consisting of a flat roof supported by poles. Noun: A shelter for cars that has a roof and one or more open sides, and that can be built against the side of a house. If we go strictly by the definition of the individual parts of the words a car port is a port for a car, which means a garage should fit the definition. A port is a safe harbor where vessels are loaded and unloaded. Instead we have this strange distinction where a carport mostly provides shade and a garage protects against all the elements. And somewhere along the way the words collapsed together and car port became carport. I’ve always had this image of a carport as being the automotive equivalent of a double-wide, a temporary expedient until you can afford better. Often it is. Let me sing its praises. This carport doubles as a privacy fence, and a lovely one at that. With a carport, form follows function. It serves to provide shade and it does it well. The greatest enemy a car faces while it is stationary is the sun. It superheats the interior and degrades everything inside. It coats the windows with a film of plastic condensate. The carport stops this process. It is minimalist, often in the best sense of the word. Married to the right house it can add to the look of the house. It creates a projecting plane that creates interest and emphasizes the horizontal. It is unobtrusive. The modern garage is in-your-face front-and-center dominating your view of the house. The carport very modestly sits off to the side. If we notice anything we notice the cars. If you have read my garage articles then you know I am at war with the garage. I don’t want to eliminate it so much as subject it to my will. A carport strips away all the pretensions of a garage and returns it to its rightful place, a servant to the house and its owner. I will not defend all carports. They can be ugly, and they need not be. They can look cheap, which they are, but there is no good reason to shout that out to the world. The stone pillars keep this carport from seeming too modern for the house. 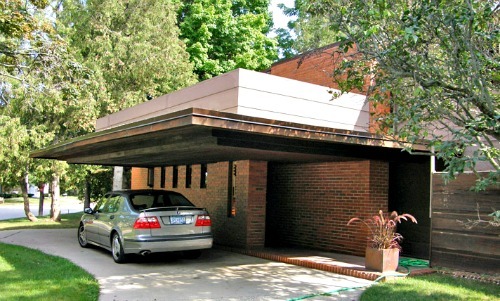 Frank Lloyd Wright was a fan of carports. They are part of several of his designs, even from his Prairie Style days. 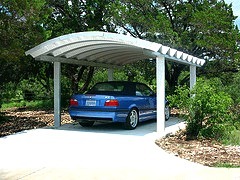 Unfortunately most carports do not have a world class architect backing them. Indeed, most look strictly functional without any consideration to the form. 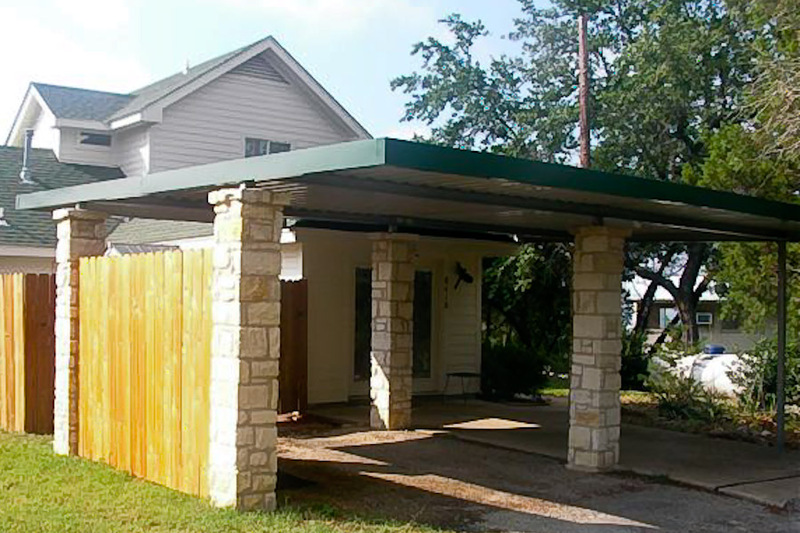 A carport should not be an afterthought. 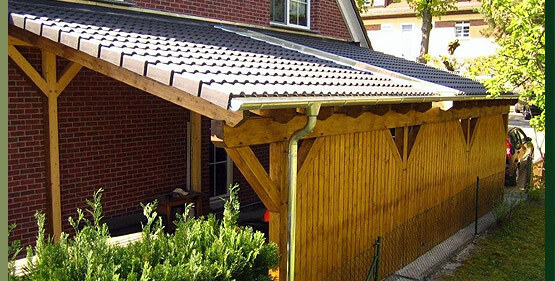 A carport should look natural, like it belongs there. An architect can make that happen if it is part of the original plan. Added later, carports often look like they were added later. This isn’t to say that carports can’t be added later, but it takes some careful thought to make it seem like they belong. A freestanding carport has some leeway. It isn’t closely tied to the house, so it can have its own look, but that doesn’t give it a license to look tacky. I have here only one other articles on car ports, but I may add more as the mood strikes me. 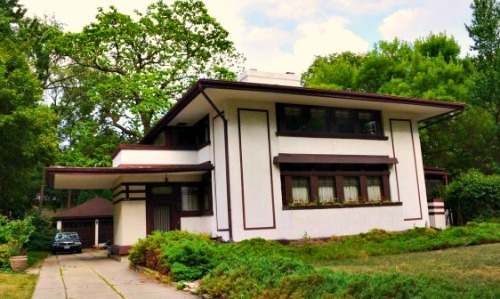 Stephen Hunt residence (1907) by Frank Lloyd Wright, with a cantilevered carport. The carport roof adds to the horizontal emphasis Wright incorporated into the Prairie Style. The carport on the side of the Bernard Schwarz home, another Frank Lloyd Wright designed home. 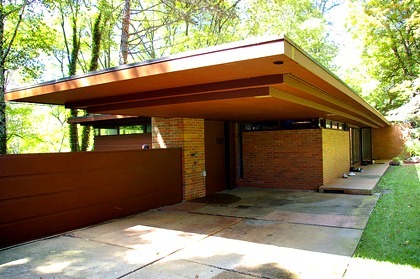 One more Frank Lloyd Wright carport. Here the line of the main roof just continues on out.